With Diamond all-weather artificial turf tennis court there’s simply more playing days in the year. 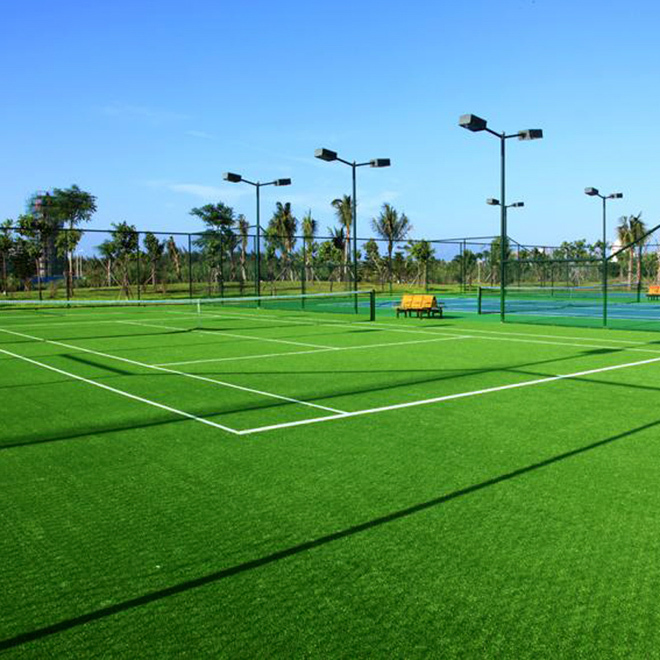 Artificial turf is fast draining and unaffected by wet or dry conditions or extreme temperatures – This tennis court is always available for play! · Diamond artificial grass can be played on at all times, all year round, even after rain – easy-draining and quick-drying. · Diamond tennis grass has consistent even bounce thanks to perfectly level playing surface. · Diamond tennis grass has excellent traction and strong grip on the tennis court.